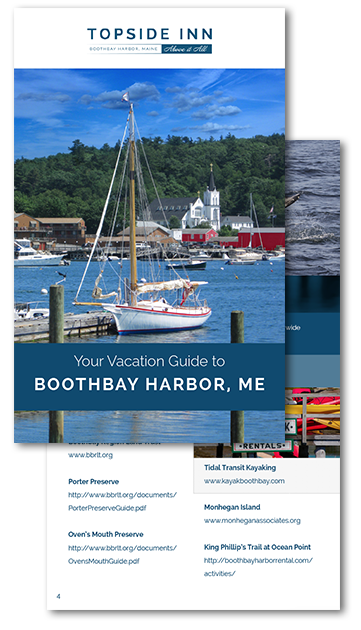 Want an Easy Way to Plan the Ultimate Trip to Boothbay Harbor? Get Our FREE Vacation Guide Today! The Boothbay Harbor area has become a truly popular destination for visitors from around the globe! There is a multitude of things to do, and our Vacation Guide outlines it all for you.